Ebay Mac App Now Live In the U.S. If you are a Mac owner, and you love Ebay, then today might a great day for you. 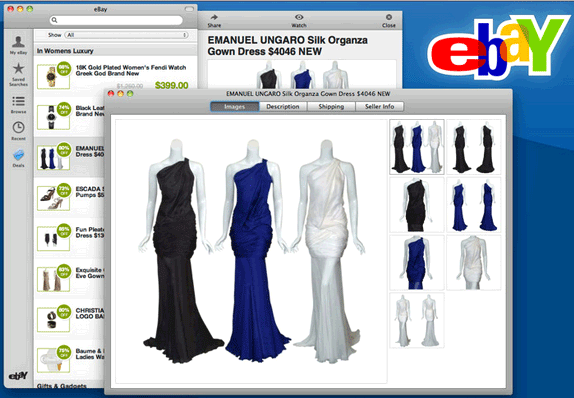 Ebay launched the Ebay Mac App today and is now available for free download on the Mac App Store. The Ebay Mac App gives you all of the main content from the standard Ebay website, but in a much cleaner, much more refined presentation. This strategy is designed for faster delivery of the most important elements of Ebay products. The simple interface gives you fast access to manage your active and watched sales, search Ebay (U.S. only), view your saved and recent searches, and access Ebay’s daily deals. The Ebay Mac App is currently only available in the U.S. for now. Of course, as Ebay optimizes and refines the app, it will more than likely be launched in markets throughout the world.